First off, I'd like to say that how I came to read The Mystery of Hollow Places is an example of marketing working. Its author, Rebecca Podos, made some appearances in Connecticut over the last few months, so I saw her name turning up on the Connecticut Children's Literature Calendar. I noted what her book was about while reading about her. She's also an agent whose name I've seen connected with SCBWI events. So, for me, she had a bit of name recognition. When her book turned up in front of me on the new book shelf at one of the libraries I frequent, my mind was ready to accept it. A job well done, Rebecca. 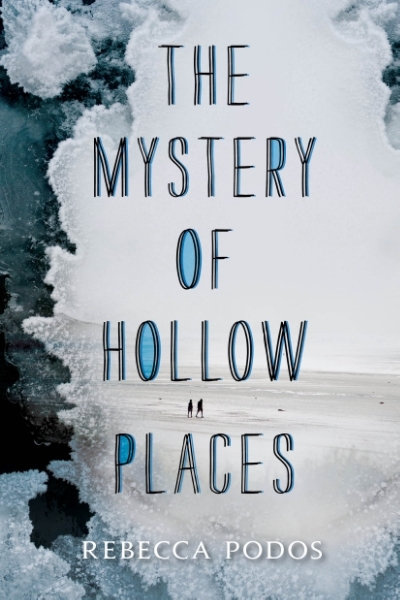 The Mystery of Hollow Places is a literary stand alone mystery. That makes me happy. Our teen narrator/detective is hunting for her father who appears to have taken off for parts unknown. He's a mystery writer and his girl, Imogene, has made a study of his work. She believes she can use what she's learned from reading his books to find him. A legitimate, realistic mystery that is also realistically solved by a teenager. A wealthy, popular teen girl sidekick for our detective protagonist. A side trip to Willimantic, Connecticut, which isn't that far from where I'm sitting right now and where I have been many times. Which, of course, is only a recommendation to those of us who know the place. I just suggested The Mystery of Hollow Places to a friend who's writing a mystery. I thought she'd be interested in the way health information is slowly revealed and that great sidekick. I just downloaded this based on your recommendation. You pretty much had me at "literary standalone mystery" in YA. Thanks! This sounds good! I also like standalone mystery novels. I'll keep an eye out for this one. I hope she does more of this type of thing. I've just read that she has another book coming, but I haven't had a chance to check out what it's about. This looks really good. Thanks for sharing. I agree 'recognizing' a name - either author or title, goes a long way. Nancy--I got this book at "our" library, if you're interested. Sounds like one I'd enjoy.